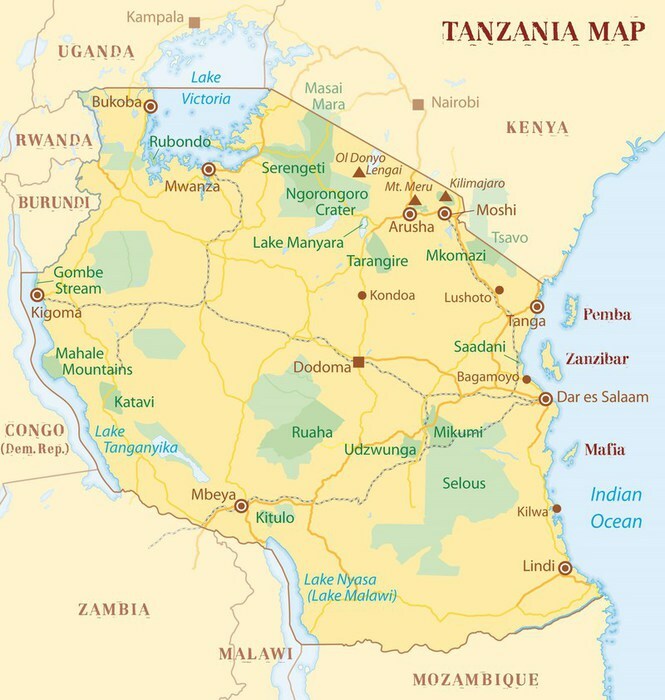 Introducing the mountains and trekking options available in Tanzania. Climbing Kilimanjaro is naturally the ultimate adventure! Wilkinson Tours also offers climbs on many other spectacular mountains in East Africa. Whether you are a rambler, a seasoned hiker or a climber we’re sure to find the right terrain for you. Tackling the highest mountain in Africa is a once in a life time adventure. We offer a variety of routes up Kilimanjaro, each of which has different characteristics and features. Our personal recommendation is the Rongai Route if you seek a bit of peace and quiet or, the Lemosho Route – a slightly more adventurous trail with incredible scenery. Mt Meru is one of Africa’s most beautiful, dormant volcanic cones. Standing at 4566 m, it is the second highest mountain in Tanzania and also the fifth highest mountain in Africa! The rewarding climb to the summit takes you through grassland and lush forest, where you are likely to spot wildlife, and onto the knife-edge crater rim. The entire trek, with accommodation in huts, takes 3 to 4 days and is an excellent way to acclimatize before taking on its’ big brother, Kilimanjaro! Walking in and around the Ngorongoro Conservation Area is a wonderful experience exposing you not only to stunning scenery but wildlife too! Suitable trekking routes include the area from Olmoti Crater to Empaakai Highlands and down to the Great Rift Valley, the Northern Highlands Forest Reserve and the Eastern Plains around Nasera Rock, Gol Mountains and Olkarien Gorge. In a remote corner of Tanzania stands an astonishing mountain called Ol Doinyo Lengai (“The Mountain of God” in the Maasai language), where lava fountains harden in midair then shatter like glass. The summit of this strato-volcano affords direct views into the caldera of Tanzania’s only officially-certified active volcano, and the world’s only carbonatite volcano; records of eruptions have been maintained since 1883.